Project Details: Rancho Insolito has been raising Peruvian Horses for 30 years. They are a very interesting and unusual breed. They are also exquisitely naturally gaited and are pretty rare in the horse world. 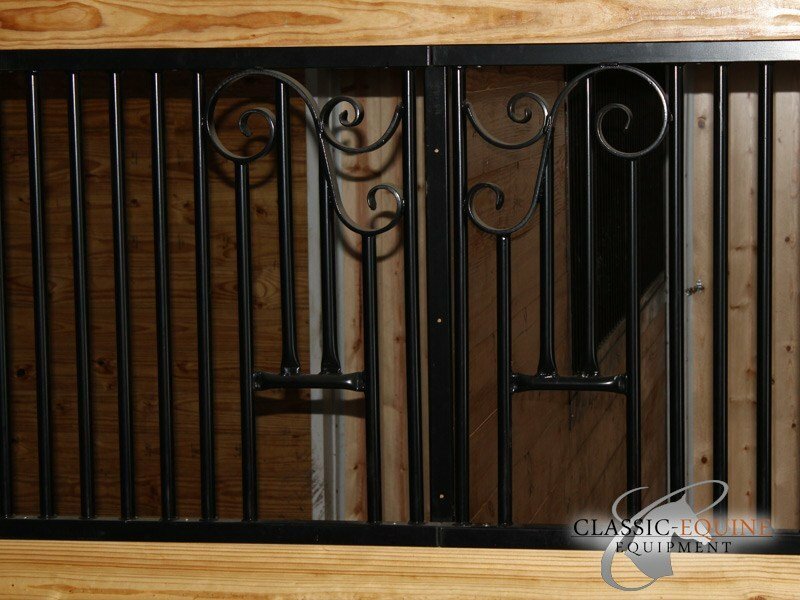 Classic was the only choice to house the beautiful horses in a safe and stylish environment. 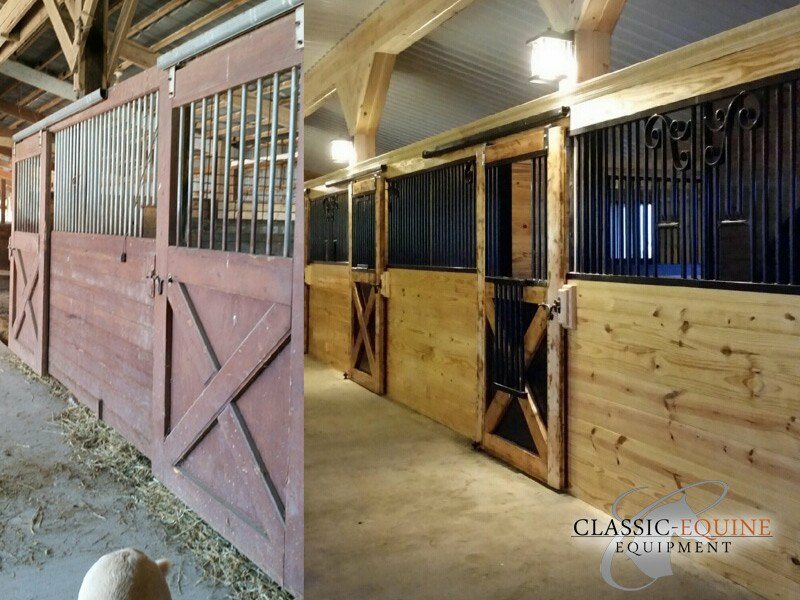 Product Specs: For this barn renovation, the existing posts were utilized and as a result, our Integrity stall design was the best fit. The original doors were resurfaced and updated with new grillwork on the top section. 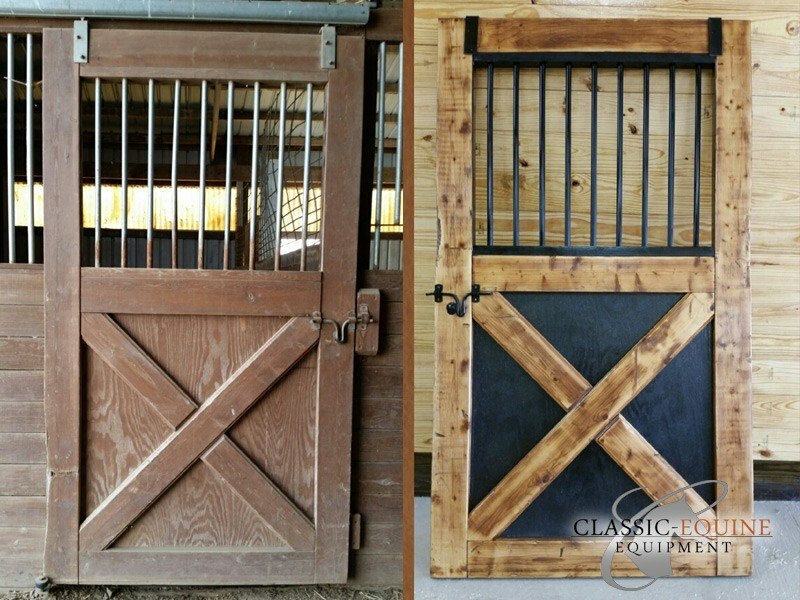 The hinged drop down in the door allows the option for the horse to have their head out and be social. The grillwork on the front was customized with Artisan accent corner scrolls and a square feed opening. This really adds to the beauty of the front! 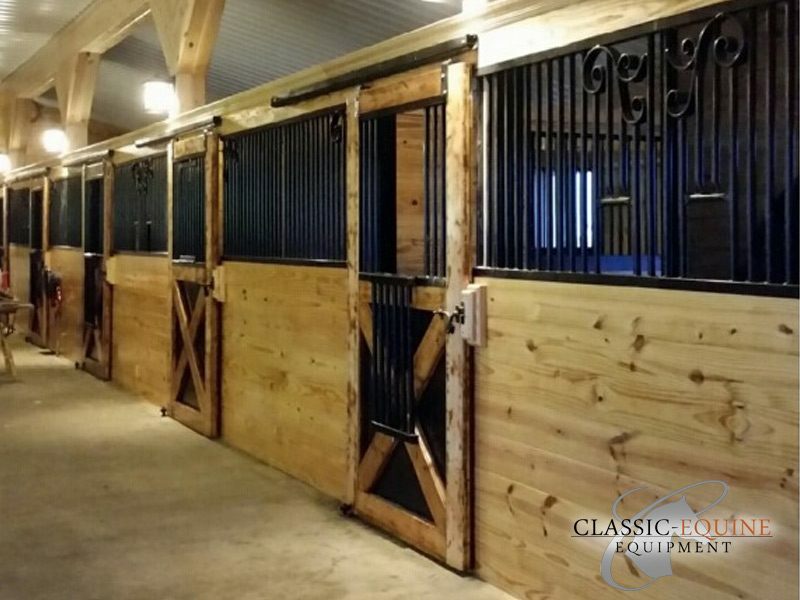 From the Customer: "These beautiful stalls are an elegant complement to my beautiful Peruvian Horses. They do deserve the best! I have always dreamed of a barn as beautiful and breathtaking as this. It was worth the wait. 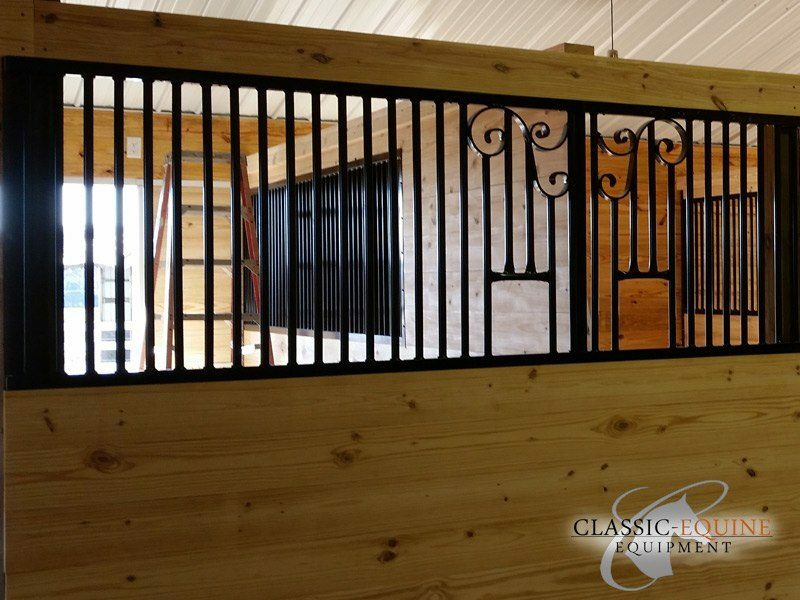 Thank you again for your expertise and the outstanding quality from Classic Equine." "My building contractor is Lameroux Construction from Decatur Michigan. They have a very talented crew and if I could vision it then they would build it. Awesome group of guys!"